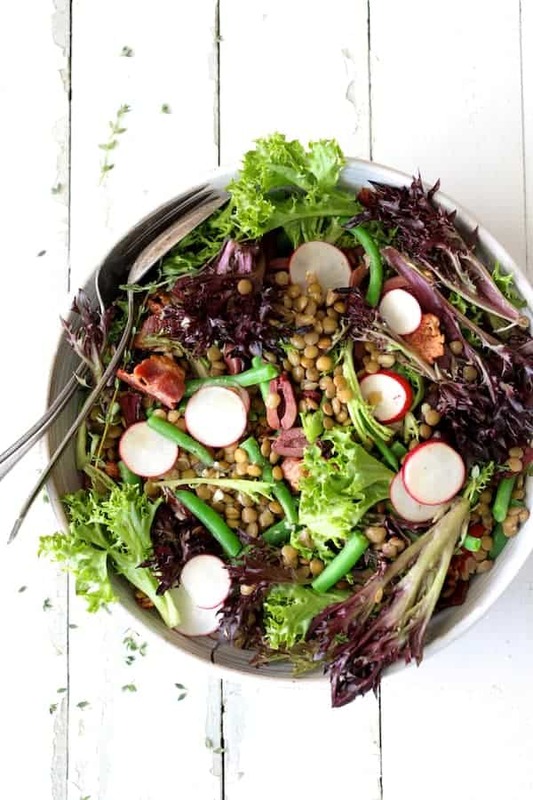 French Lentil Salad is a lovely and delicious way to ring in spring! 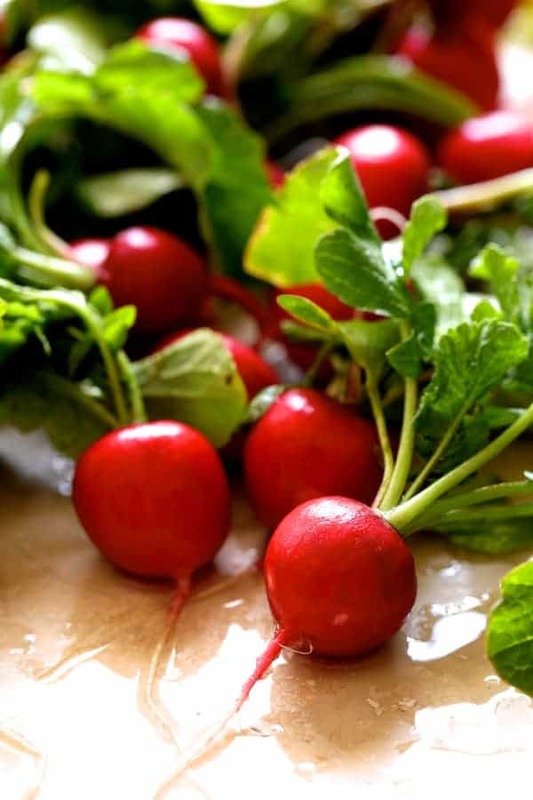 With radishes, young green beans and baby lettuces, it’s perfect for that first dinner on the patio! Something very bizarre happened here Monday and yesterday. We had sunshine and it looks like it’s going to happen again today! February here was unbelievably rainy; we set records. Ever since mid-October, I’ve been fighting the weather trying to get decent food photos. When we did have sunshine, I had to work. It’s been very frustrating so I am getting as many things cooked and photographed while the sunshine lasts. There’s more rain in the forecast for the weekend, but it’s looking like spring is finally on the way! 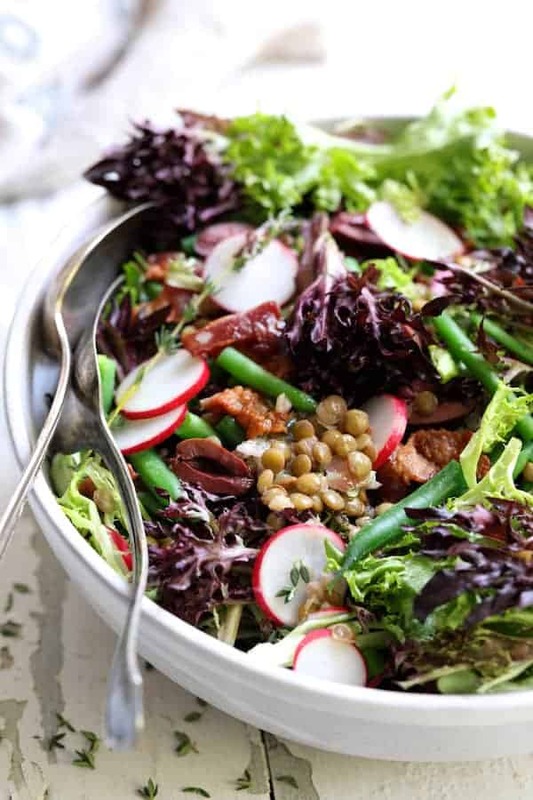 French Lentil Salad is the perfect way to ring in spring. There’s still some cold weather heartiness happening with the lentils and bacon here but spring shows up with radishes, baby greens and the young green beans. I used green lentils rather than brown for this French Lentil Salad. They take longer to cook than brown but work better in salads because they hold together better after cooking. 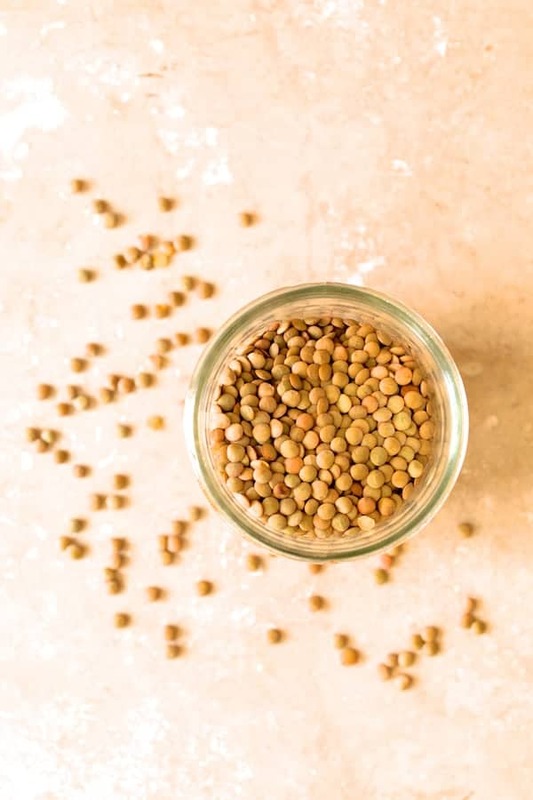 Here’s more information from The Kitchn on the most common types of lentils: What’s the Difference Between Brown, Green and Red Lentils? Always be sure to look lentils over for any debris such as twigs, stones or shriveled lentils. You definitely don’t want to bite down on something like that! I use an inexpensive white paper plate to sort through them. Any debris is easy to see on the white background and I can then bend the plate and “funnel” the lentils into the cooking water. I tried to”get my French on” by pulling out my mandoline to slice the radishes thinly and perfectly. That didn’t last long because radishes are small and I’m deathly afraid of slicing the top off a finger. Just use a good sharp knife. The French would most likely use “haricot verts” in a recipe such as this. “Haricot vert” is French for small, expensive green beans. Okay, not really but yes, they’re way more expensive. Use them if you wish, but if you’ve got some time and patience, simply dig through the green bean bin at the supermarket and pick out approximately eight ounces of the smallest ones. Frisee can be a little difficult to find. 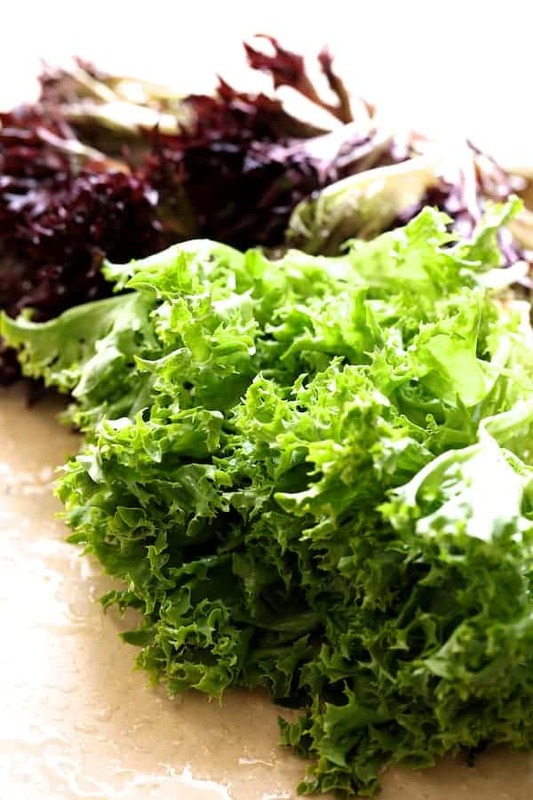 You can generally find it near the specialty packaged lettuce area and sold as baby lettuces with baby romaine. You don’t want to confuse it with escarole which has a slightly more bitter flavor. 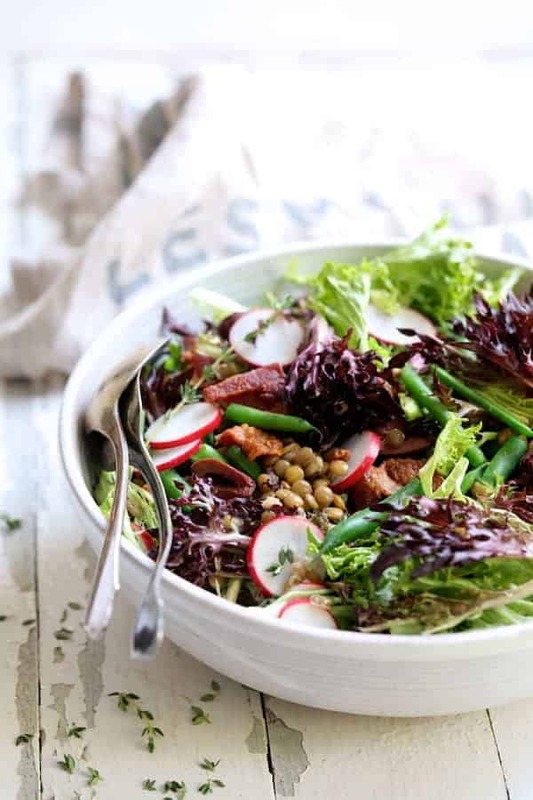 …you’ve got this beautiful French Lentil Salad to enjoy a lovely spring evening outside! If you want to pair French Lentil Salad with something for a more substantial meal, how about a lovely, creamy tomato soup? SALAD: Bring a medium-sized pot of salted water to a boil. Add the lentils and cook on high for 25 minutes or until lentils are tender but not falling apart. 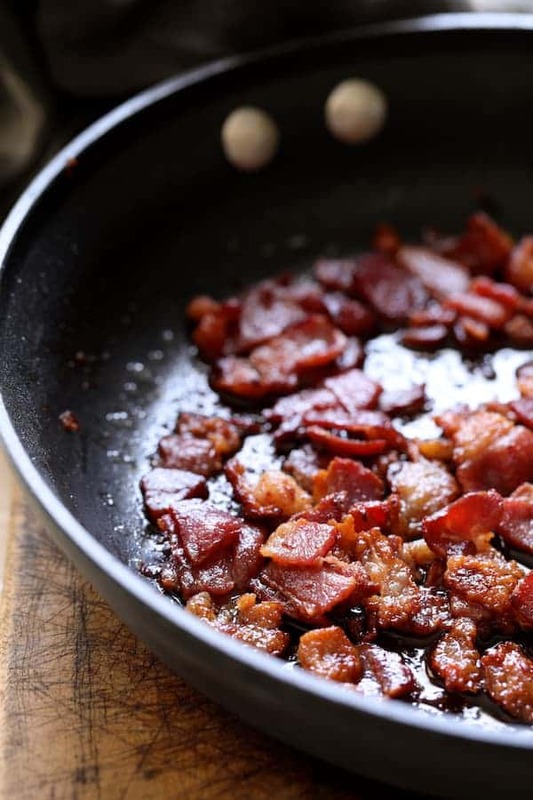 While the lentils are boiling, cook the bacon in a skillet over medium heat until crisp. Transfer to a paper towel-line plate to drain. When the lentils have about a minute or two to go, add the green beans. Drain in a sieve or colander and cool under cold tap water. Drain well then transfer to a large bowl. Add the radishes and olives. TO SERVE: Place frisee lettuce in a large serving bowl. Top with lentil mixture and gently toss to combine. Serve immediately. First off, excellent shots. Secondly, that salad looks super delicious. I am gonna try it out soon. Thanks, Neha, Hope you enjoy! Stay warm! We’re just heading into summer and it got very hot very quickly! Thanks, Pam! Hope you enjoy! Carol, this salad looks so delicious and plenty of unique flavors for the spring! 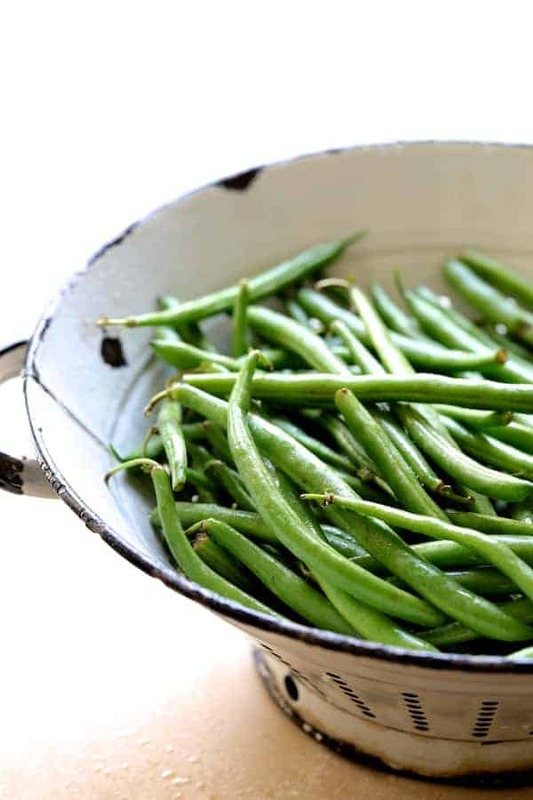 We love adding fresh green beans to our salads or even sugar snap peas! 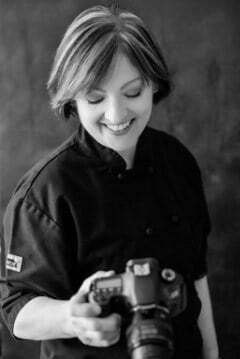 Your pics are gorgeous too!